Florence is a nation in central Italy that is a part of the Tuscan culture. It is one of the nations that can form Tuscany and Italy, and one of the most likely to do so. It has Catholic as its starting religion. Florence shares many events with Tuscany. Not since the days of the Margraviate of Tuscany has a single power controlled as much of the the Tuscan lands as we do. Let us adopt a new title to better reflect our new standing among the states of Italy. is not the Holy Roman Empire. has Tuscan as primary culture. was not a former colonial nation. owns and has cores on either Siena (117) or Lucca (2980). gets permanent claims on all provinces with Tuscan culture that it does not own. gets the event “The Emperor Condemns Tuscany's Elevation” within 50 days. then it changes its government to feudal monarchy. Florence starts as Oligarchic Republic , this means that the player will be able to decide, on ruler death which government form choose. Choosing Monarchy grant the possibility to royal marriage; while this can be used to get alliances with great powers early on can also be good to get personal unions either with Savoy or Naples (once free) to speed up expansion in Italy region. The preferred way to form a monarchy is by event to form Tuscany (Feudal Monarchy) or to decrease the Republican Tradition, form a Republican Dictatorship, and then let it become a monarchy on ruler's death. The player can also choose to increase the nobility estate's influence to over 80%, then allow the aristocratic coup to happen. Though this will cause the trade income to drop, but in exchange the Noble Republic government type gives troops a moral boost. Since nobility influence is over the limit the player can uses benefits to increase its military power. The benefits of having an over sized and strong military outweighs the drop in trade income and allows Florence to expand early in the game. Otherwise, keep a republican form can make the distribution of monarch power much more fluid and dynamic, adapting to the needs of the moment. As an Italian Minor, the early game is not easy, and it can be wise to wait for Europe's geopolitical situation to stabilize before setting rivals. Fabricate claims on Lucca and Siena early on. They tend to join trade leagues under either Genoa or Venice. 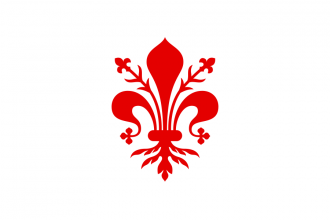 Milan can be the perfect ally against them if they are not rivals with Austria (an alliance with the emperor will usually forestall the "Unlawful Territory" demand). If Naples becomes independent later on, it can be a great ally against The Papal State. Florence's mid-game goal is usually to form Tuscany and then Italy. In order to form Tuscany, Florence must own its starting province plus Siena or Lucca. Vassalizing and diplo-annexing them is not advisable as it requires too much time. After Tuscany is formed and the Shadow Kingdom event has fired, the player can expand to form Italy. Since Italian land gives a large amount of aggressive expansion from high development, it can be a good idea to establish a foothold in North Africa, usually Tunis, and expand there while European aggressive expansion cools down. Depending on the alliance situation after the Shadow Kingdom event, it can be good to ally nations that are rivals with Austria but don't really want provinces in Italy. France is often the right choice; other options could include Castile, Aragon, or Hungary. Florence/Tuscany is in the unique position of being able to strike at all the provinces needed to form Italy. Being a monarchy allows a player to form personal unions, especially over Savoy or Naples, as well as royal marriages to secure alliances with strong powers early on. The diplomatic strategy requires the early adoption of the influence and diplomatic idea groups, which means sacrificing any real chance to colonize. Colonization can be choosen both early or late in the game. A good strategy could be push through egypt to gain access to Red Sea and so colonize Asia and Indochina, and push through Australia. But that could be done in the other way, pushing through Morocco. That could be more difficult because of the Iberian monarchies reconquesta. It could be good for the player to conquest north africa after Shadow Kingdom, and get stronger with the help of colonies to then form Italy. If the player decides to do so trade from Asia may be pulled from Gulf of Aden to Venice and from Africa may be pulled across the Sahara to Tunis and on to Genoa. Once got a strong nation, later in the game, the player could choose to take over other nation's colonial nations to better expand its colonial domain. Florence is one of the strongest nations if a player is looking to play "tall". Florence starts as part of the HRE and the italian provinces mostly consist out of farmland. Florence has access to the Genoa trade note and multiple centers of trade nearby. Another bonus is that the Renaissance is guaranteed to spawn in Italy. If you gain control over that province the player will acquire the birthplace of Renaissance modifier, lowering development by an extra 5%. Being a Oligarchic Republic means that the player can exchange Republican Tradition to gain a good amount of monarch points. As an Italian culture nation, make sure entire Tunis Area is at 100 devastation. This page was last edited on 22 December 2018, at 13:24.